Now that summer is in full swing, we have an overload of new things to share. 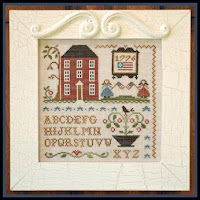 So many designers have treated us to patriotic designs large, medium and small. 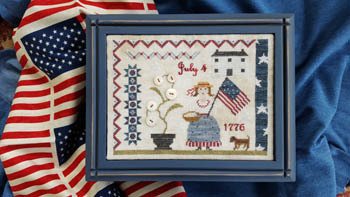 Fourth of July Picnic by Samplers Not Forgotten will make you quickly raise your flag. 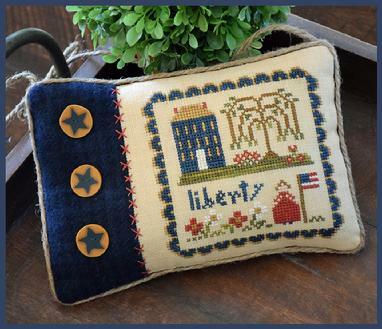 Little House Needleworks has Little Lady Liberty, a darling patriotic pillow finished with wool and star buttons. 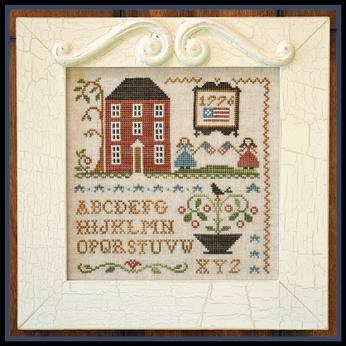 Also from Little House, “Oh My Stars” shows a 1776 tavern sign, red colonial house, two flag wavers and stars. “Long May She Wave” includes chart and Classic Colorworks fibers to complete your flag project. 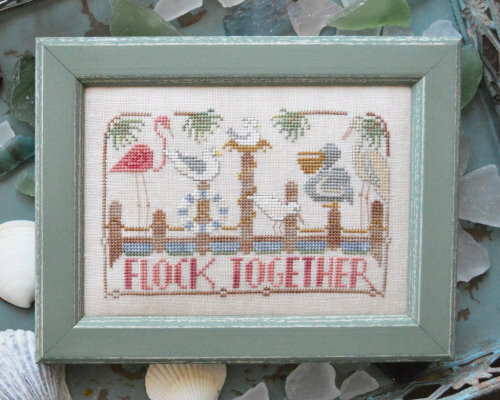 You just supply fabric and needle. 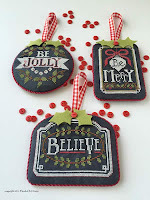 Cathy Habermann, Hands On Design, has a new collection of Christmas ornaments which she calls Chalkboard Ornaments. This is a series of three graphs, one released each month and each package containing 3 designs. 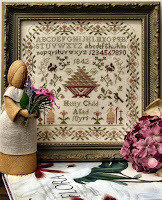 The designs are stitched on dark fabric and embellished with buttons and leaves. 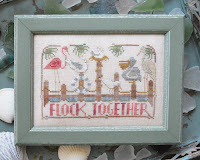 Cathy also has a To The Beach series made up of 12 different cards with beach motifs, including a whale, beach chair, cottages; to name a few. These are quick to stitch – great vacation project. 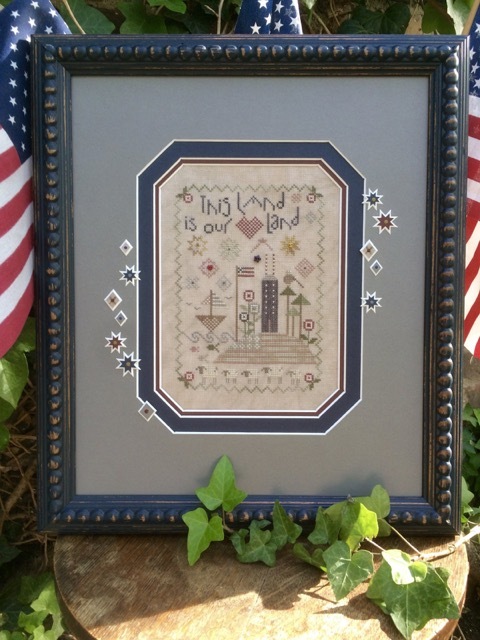 We have three new Shepherd’s Bush projects: This Land Kit features a slim (typical Shepherd’s Bush) house with flag, heart, and sweet flowers. 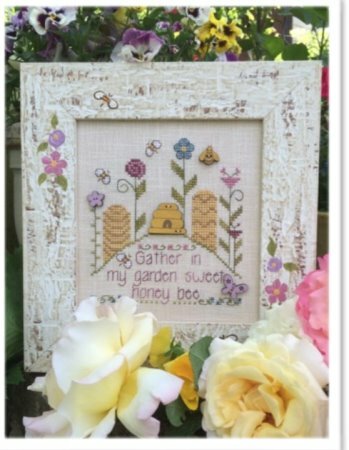 Sweet Honey Bee is a single graph featuring darling bee skep, flower, butterfly and bee buttons to embellish the stitched beehives. 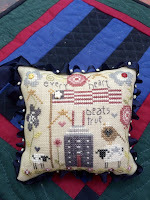 True Heart is a kit featuring a flag, an eagle and the usual sheep. Darling! 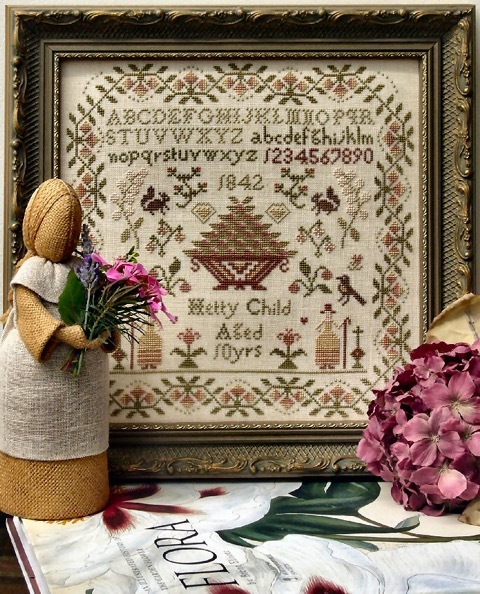 The Sampler Company with designs by Brenda Keyes has Plant Wisdom, Hetty Child and The Red House samplers here in the shop. 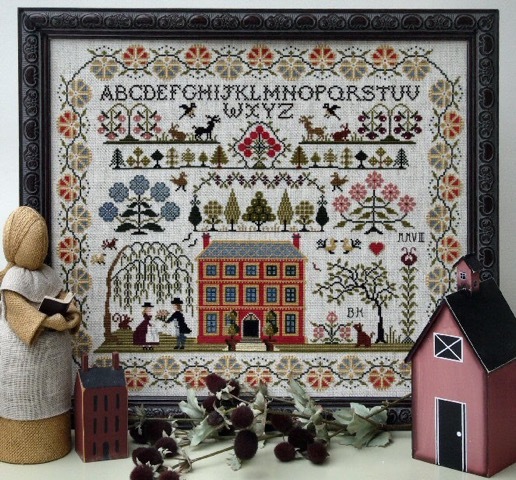 These samplers are nothing less than wonderful. Must see. 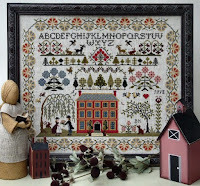 This is only a small list of what’s new – there are also three new Plum Street designs: one of which is a new Scary Serial Bowl Series. 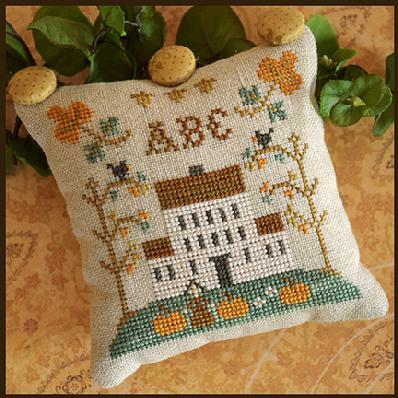 Little House has a new ABC Sampler Series beginning now which features one sampler pillow a month for nine months. Don’t forget the new Lizzie Kate Spooked Mystery Sampler to complete your Halloween decor. We look forward to seeing you this summer. 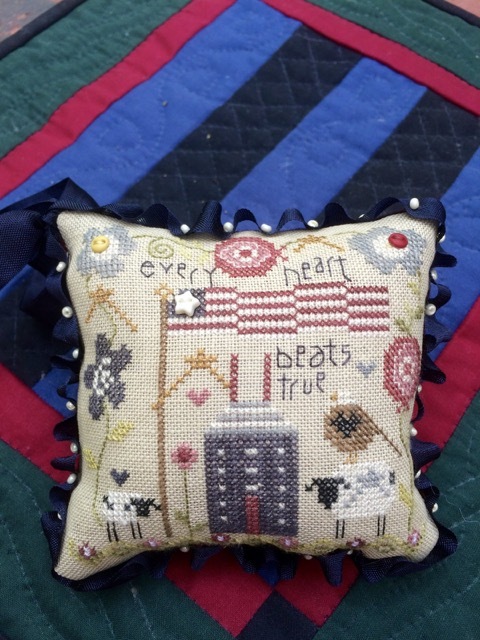 Here are a few photos of new things!